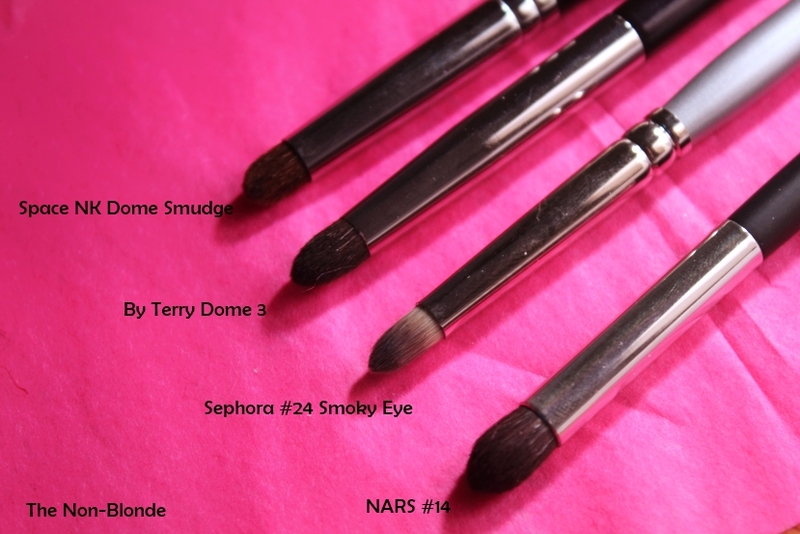 Pencil brushes are my second favorite of all eye makeup brushes after fluffy crease/blending brushes. 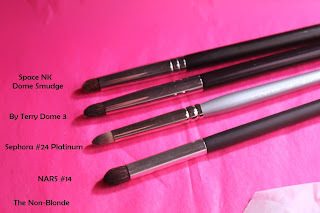 They do detail work, smudge eye shadow or pencil along the lash line, can produce a mean cut crease and perform all that while looking pretty and quite professional. 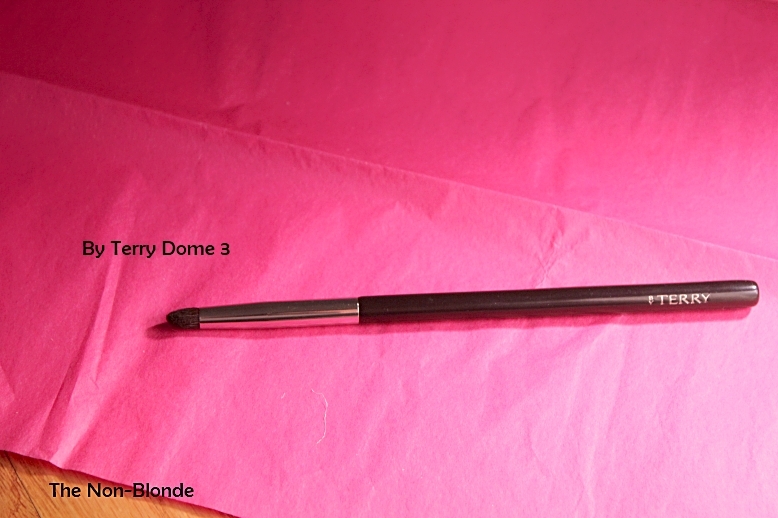 By Terry Pencil Brush Dome 3 is a good one- great proportions, soft but firmly packed hair, nice and durable. I use it a lot. 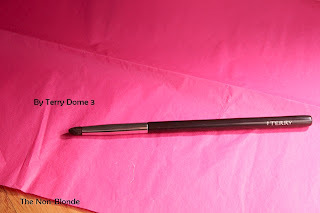 The problem is that the price of the Pencil Brush Dome 3 (as is the case with other By Terry brushes) is utterly outrageous. There are excellent pencil brushes on the market from companies like Trish McEvoy (Corner brush #61, $25), Hakuhodo G5520BkSL Eye Shadow Brush pointed ($20), Hakuhodo B533BkSL Eye Shadow Brush pointed ($18 , review coming soon), Burberry No. 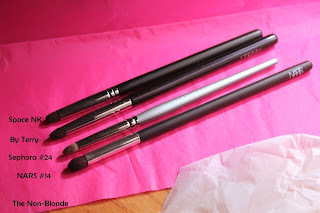 10 Definition Liner Brush ($32), Space NK Domed Smudge Brush ($22), just to name a few. As good as the By Terry Pencil Brush Dome 3 is (and it is: definitely better than the #14 from NARS), there's nothing about it that makes it superior to the other ones. Bottom Line: as always, when in doubt, buy Hakuhodo. 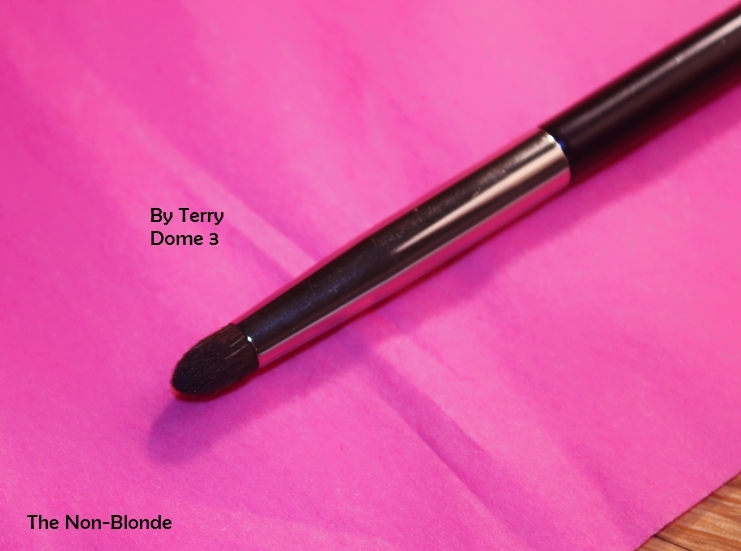 By Terry Pencil Brush Dome 3($42) is available from Barneys and Space NK. Take note that my brush is a little older and the new ones have a snazzy silver handle.